Private commission. Last painting of the year! This is a cartoonized portrait of a baby girl named Nyssa, in abit of World of Warcraft theme. 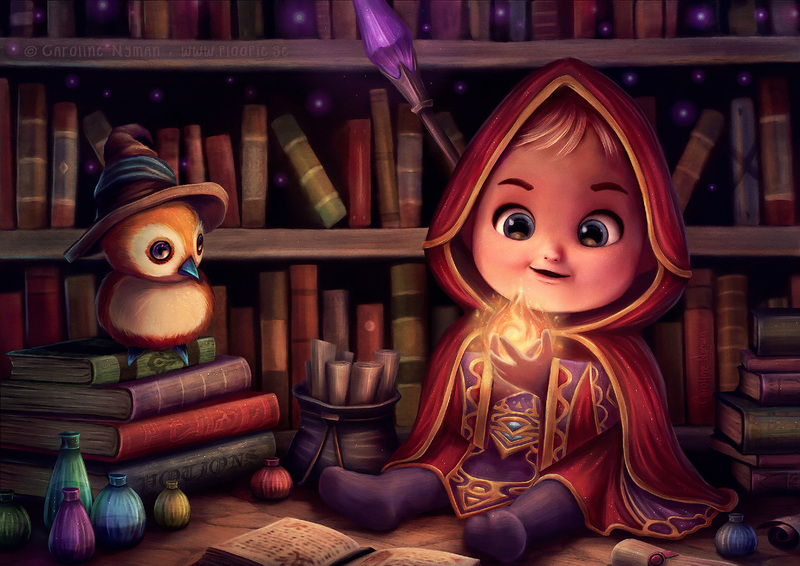 Pepe is helping her how to cast her first fireball and introducing her to alchemy and how to make potions. They are in some kind of library, a study room and she is wearing the Magister's Regalia, the first set for mages. Time: From idea to finished, around 60 hours.